There's a new Double IPA in town. Yesterday, BridgePort Brewing Co. announced the release of Multi Ball Double IPA as a new year-round offering. Multi Ball fills the Double IPA slot in the brewery's lineup, which was previously occupied by Hop Czar. This new beer was made with seven unspecified varieties of hops and weighs in at 87 IBUs and 8.25% ABV. BridgePort's Classic IPA was one of my gateway beers. I'll look forward to tasting their newest IPA! For more details, check out BridgePort's news release below. PORTLAND, Ore. – BridgePort Brewing Company, Oregon’s original craft brewery, today proudly announces the release of Multi Ball Double IPA. For the past month, this monstrous IPA has been an exclusive on-draft selection at BridgePort’s BrewPub in Portland, Ore., and will now be available on retail shelves starting now. Multi Ball Double IPA, named after Portland’s legendary pinball and arcade scene, was brewed as a classic west coast style double IPA. The brewers started with a base of 2-row Pale malt with approximately seven-percent Cara-Crystal Malt to provide caramel notes and a rich amber color. Intensifying this double IPA, brewers used hops in every step of the brewing process. Multi Ball Double IPA comes in at 8.25% alcohol by volume and 87 IBU, showcasing Northwest hop flavor and character, finishing with a smooth mouthfeel. 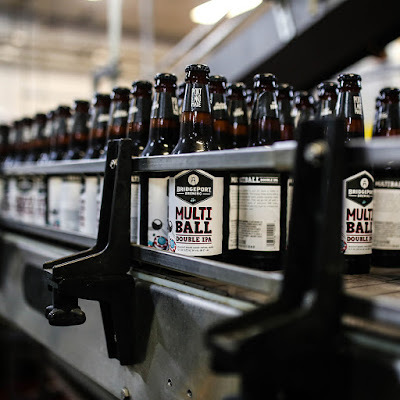 Multi Ball Double IPA will be available throughout BridgePort Brewing’s distribution footprint of 18 states in 12-oz. bottles, 6-packs, and on-draft. For exact locations, please use our Beer Finder. 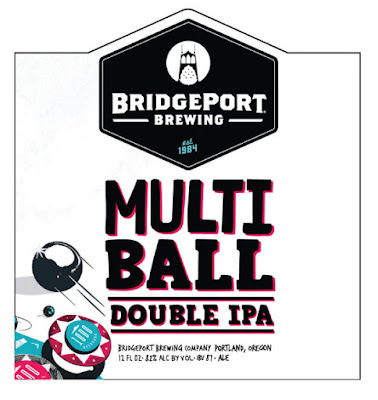 For more information on BridgePort Brewing’s Multi Ball Double IPA, visit BridgePort’s brand new website www.bridgeportbrew.com or come down to the BrewPub at 1313 NW Marshall St. Portland, Ore. for a pint. Oregon's original craft brewery continues to evolve from a microbrewery to a regional leader committed to producing high quality hand crafted beers. Lead by Brewmaster Jeff Edgerton, the team of BridgePort brewers prides itself on using local hops and clear glacial water from Mount Hood. The BridgePort family of locally inspired beers includes Tiny Horse Pilsner, BridgePort IPA, Cream Ale, Kingpin, the STUMPTOWN series, and a variety of seasonal and limited releases. BridgePort Brewery is located at 1313 N.W. Marshall. For more information, call 503-241-7179 or visit www.bridgeportbrew.com. Today, Full Sail Brewing Co. revealed that Hop Shooter IPA is next release in its Brewmaster Reserve Series. The last Brewmaster Reserve release, Slipknot IPA, is nearing the end of its limited run. Hop Shooter IPA is named after Full Sail's pneumatic cannon that fires hops into a 35 ft. tall fermenter. I'd like to see that in action! This beer was dry hopped with more than 1.5 pounds of hops (4 varieties) per barrel. It will be available now through September in six-packs of 12 oz. bottles and on draft. For more details, check out Full Sail's news release below. Hood River, Oregon – Grab a fistful of ale! 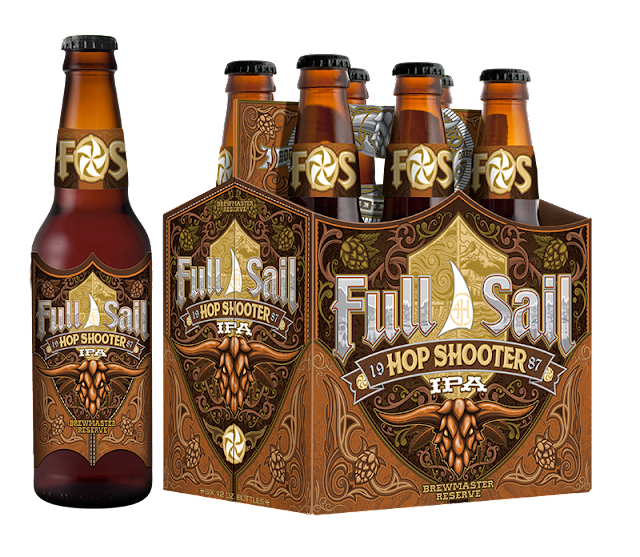 Full Sail Brewing Company’s new Brewmaster Reserve Hop Shooter IPA was dry hopped with four varieties of Northwest hops. This Chinook-forward IPA was “shot” with more than 1.5 pounds of hops per barrel delivering intense piney aromas complemented with hints of tropical fruit. Moderate bitterness balances a foundation of Pale and Crystal malts resulting in a very drinkable IPA. 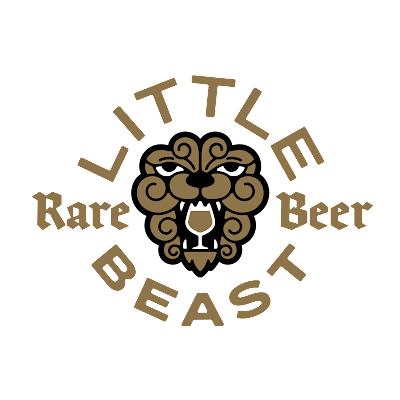 Charles Porter, the founding brewer of Logsdon Farmhouse Ales, and his wife Brenda Crow are preparing to launch their new venture, Little Beast Brewing! They're hosting a public launch party on Saturday, April 22 at OP Wurst. This will be the first time that samples of their beer will be available for tasting. The number of Oregon breweries focused on mixed fermentations and barrel-aged beers has been on the rise. In recent years, De Garde Brewing, Wolves & People Farmhouse Brewery, Alesong Brewing & Blending, and others have emerged. Along with pioneers such as Cascade Brewing and Logsdon, I expect these breweries will continue to push boundaries and evolve our perception of beer. It'll be fun to watch (and taste) it unfold! I'm looking forward to getting my first taste of Little Beast on Saturday. For more details, check out the invitation below. We would be honored to have you join us Saturday, April 22nd for the launch of Little Beast Brewing, our new farmhouse-style brewery in Beaverton, OR and founded by veteran brewer, Charles Porter, and his partner and wife, Brenda Crow. Rooted in old world technique and inspired by Oregon's abundant edible flora, Little Beast is crafting beer using diverse cultures, aging in wood barrels and bottle conditioning to create a complex and unique finished product. We are so excited to introduce you to our inaugural beers! Because our brewery space is petite and because we are big fans of the Olympia Provisions folks, we will be hosting the occasion at the new OP Wurst, where we will have complimentary samples of our first two beers on tap. Starting that evening and running through the week, OP will offer sausage artfully paired with our beers on their menu. Come talk and toast with us. Hope to see you there! An all-around good time with great people! 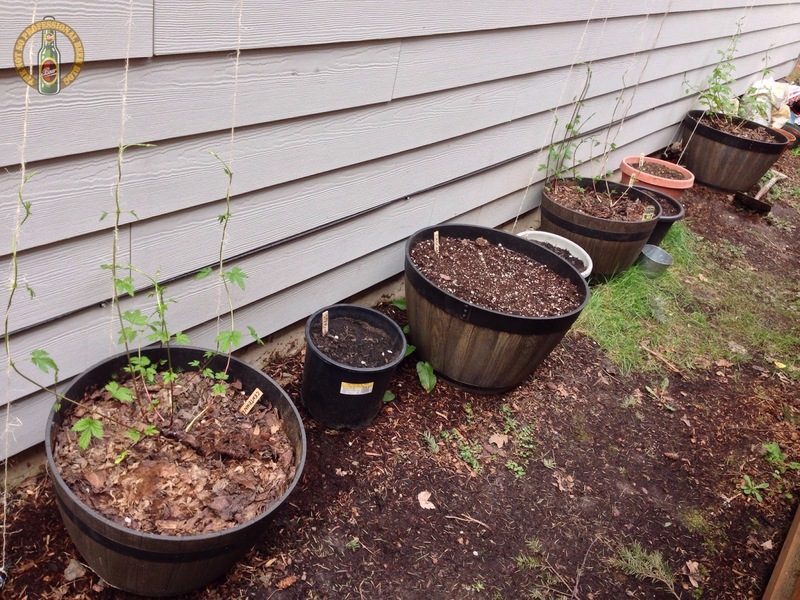 My hop garden in progressing, albeit at a slower pace than last year. The tallest bines are about 30” high—well behind the 65" of growth they achieved by the end of the first week last April. While this spring has been exceptionally rainy, last spring was unusually warm and sunny. It's not a big deal, as I expect growth will catch up during the hot summer months. Last month, I decided to add to my hop garden by planting new Cascade and Columbus rhizomes. I did that. But last week, I came across some Mt. 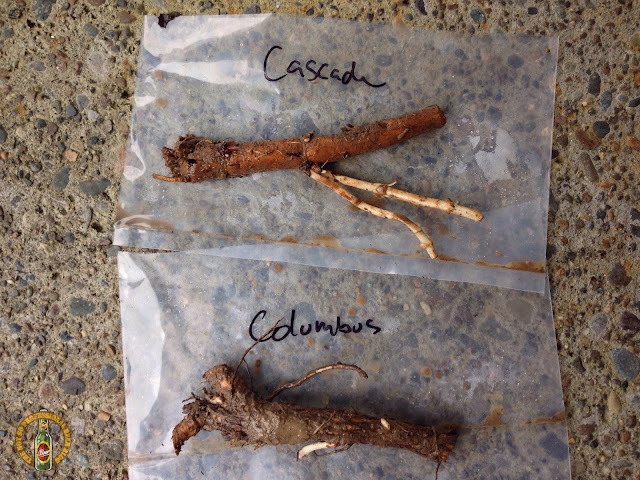 Hood, Sterling, and Zeus rhizomes, so I planted those as well. 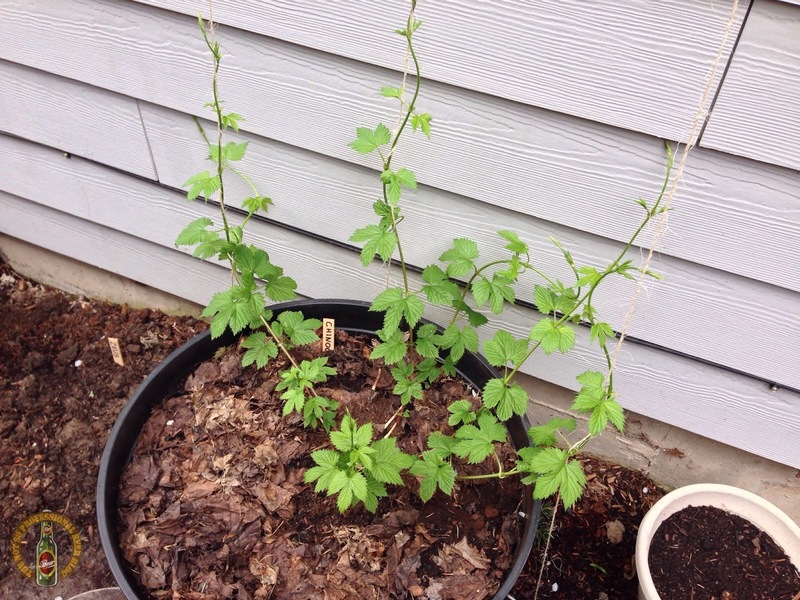 Can you ever have too many hop plants?? I don't think so... So that puts me at 8 varieties. I’m starting to run out of space! 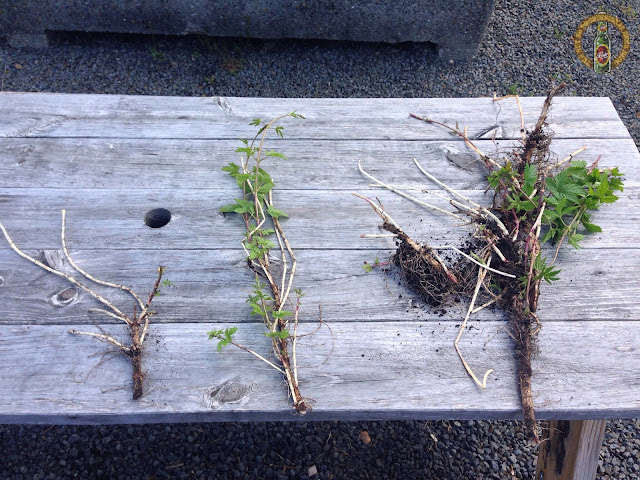 None of the newly planted rhizomes have sprouted yet. Hopefully that will happen during the next week or two. I’ll provide another update in mid-May to let you know how things are coming along. All the cool kids are doing it—rebranding, that is. Name a brewery, and they've probably rebranded or refreshed their package designs in the past 18 months. Most recently in Portland, BridgePort Brewing Co. revealed their refreshed designs. In my humble opinion, I think BridgePort took a step backward with their new look. To be fair, design is largely a matter of personal taste. So to each, his or her own. Yesterday, Pyramid Brewing Co, announced their rebranding, and I like what they've done. Their new labels have a clean unified look that showcases Pacific Northwest scenery. In addition, they revealed the launch of 12 oz. cans of Thunderhead IPA, Hefeweizen, Outburst Imperial IPA, and the new Outburst Citrus IPA. This brewery is underrated. I've been impressed by Pyramid's recent special releases. 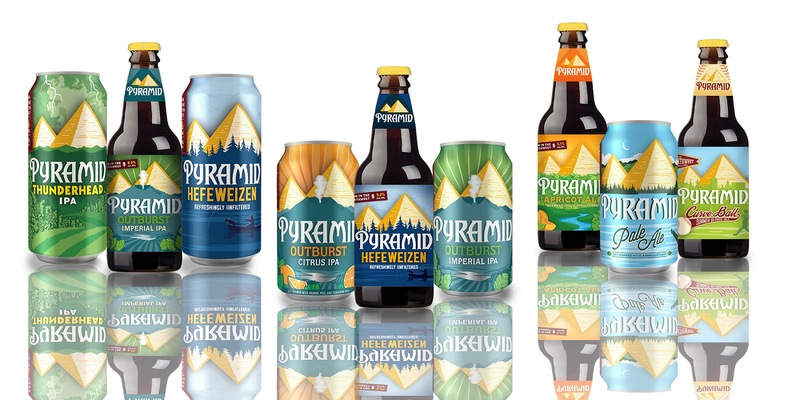 Interestingly, with the exception of Outburst Citrus IPA, Pyramid's flagship lineup has been largely unchanged for the past few years. This bucks the trend that has breweries rapidly retooling their lineups in response to consumers who are always clamoring for something new. I may have to revisit some of Pyramid's old standbys... For more details, check out the news release below. PORTLAND – Pyramid Brewing Co. today debuted an invigorated brand aesthetic and experience encompassing an expanded line of canned brews, the addition of Outburst Citrus IPA to Pyramid’s year-round line-up, all-new packaging and revamped digital channels across its website and social media. Pyramid Brewing Co. was founded in the PNW because of amazing resources like glacial water runoff and flavorful hop varieties produced in our two backyards of Yakima and Willamette Valleys. There is an incredible amount of inspiration to brew and enjoy craft beer, and after three decades of brewing some of the area’s favorite ales and lagers, Pyramid is a significant piece of many people’s favorite experiences. Today, the craft beer industry is producing a lot of amazing beer, and it is harder to stand out on high-quality liquid alone. Recognizing this, Pyramid is embracing its legacy and original purpose to inspire adventure and exploration. This is evident in Pyramid’s evolving brewing philosophy and portfolio for current beer drinkers. Moreover, Pyramid is reaffirming its commitment to explore, celebrate and preserve the best of PNW ingredients and the land that produces them. As part of the rebrand, Pyramid will release canned beers for Thunderhead IPA, Hefeweizen, Outburst Citrus IPA and Outburst Imperial IPA. These canned brews are ideal for PNW outdoor activites as they pack easier and chill faster. The novel Outburst Citrus IPA brewed with orange and tangerine peel debuts in 12 oz. cans and 22 oz. bottles. It’s big hop flavor is matched flawlessly by the tasty, aromatic, citrusy punch of the orange and tangerine peel. Pyramid’s baseball favorite, Curve Ball Summer Blonde Ale, returns to the seasonal brew line-up with new label art that embeds Seattle’s skyline with classic baseball and stadium images into the design. This blonde ale is brewed with the grandstand atmosphere in mind to be bright, crisp and golden. Supremely satisfying and deeply quenching, Curve Ball is a grand slam for summer’s adventures inside and outside the stadium. Adventures are planned and celebrated over great tasting beers. Pyramid Brewing Co. invites fans to share their adventures from across the Northwest by posting a photo with #FindYourPyramid. For more news and events, follow Pyramid Brewing Co. on Facebook, Instagram and Twitter at @pyramidbrew. Born in the Pacific Northwest, Pyramid Brewing Co.’s year-round ales, seasonals and Brewer’s Reserve series are some of the PNW’s favorite brews. In 1984, Pyramid discovered a new way of crafting beer, bringing together adventure, friends and bold new flavors and innovation. Today, Pyramid shares this spirit through its craft beers, and breweries and alehouses in Seattle and Portland. To find your Pyramid, visit: www.pyramidbrew.com. "An old German beer style from Leipzig, Gose is an unfiltered wheat beer made with 50-60% malted wheat, which creates a cloudy yellow color and provides a refreshing crispness and twang. A Gose will have a low hop bitterness and a complementary dryness and spice from the use of ground coriander seeds and a sharpness from the addition of salt. Like Berliner Weisse beers, a Gose will sometimes be laced with various flavored and colored syrups. This is to balance out the addition of lactic acid that is added to the boil." 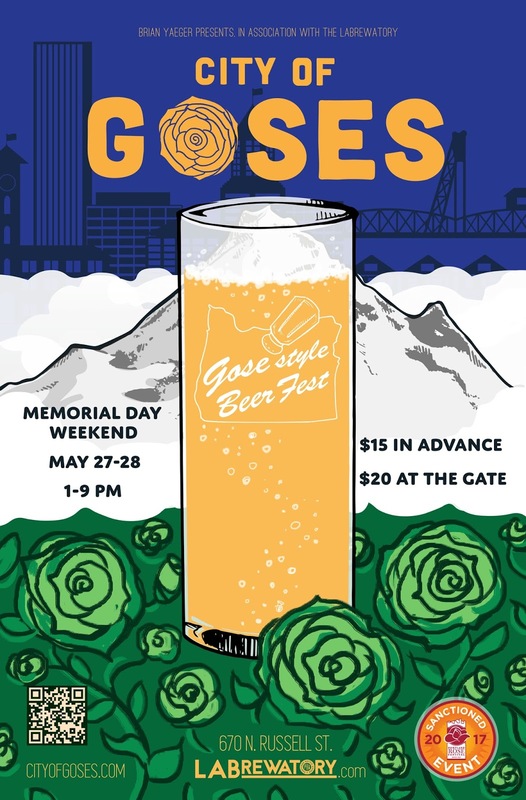 Beervana, OR – CITY of GOSES, the largest and possibly first celebration strictly dedicated to gose-style beers is also the Portland Rose Festival’s first sanctioned beer fest. The two-day event held over Memorial Day weekend will feature 30 goses from Saxony to Stumptown. From über traditional versions on this salty, sour beer including imports from its source in Leipzig, Germany to takes from around Portland and across the globe, CITY of GOSES may require returning both days to fully enjoy the gamut gose has to offer. The fest takes place three blocks from the Albina/Mississippi Max station just one stop north of the Gose Quarter, er, Rose Quarter at LABrewatory (670 N. Russell St.). The event is Saturday and Sunday, May 27-28 from 1 - 9 p.m. Tickets are $15 in advance, $20 at the gate. Tickets are available now at Merctickets.com/go/CityOfGoses. Nearly one year ago, New Zealand native and Portland staple John Lovegrove texted pun-loving event-producer Brian Yaeger. The note read, "Brace yourself...The City of Goses...That totally has a Brian Yaeger Presents feel about it." Yep. In a world where sour beers are increasingly sought after, lower-alcohol session ales have a foothold, and warmer weather always calls for the most refreshing beer, it’s no surprise today’s craft brewers are exploring gose (pronounced gose-uh). This wheat ale brewed with salt, coriander, and tart lactic acid originated between the 12th and 15th centuries in Goslar in Lower Saxony though it’s identified mostly with Leipzig in Saxony. Each participating brewery delivers a distinct spin via selected salts and additional ingredients. Admission includes a souvenir glass and additional tasting tickets will be available for $1 each. With one exception, all beers will be one (1) ticket per four-ounce sample and four (4) tickets for a 14-ounce pour. Samples from the last keg on Earth of Cascade Brewing’s 2010 Summer Gose, will be two (2) tickets and not available as a full pour. LABrewatory will have a selection of non-gose house beers available as well. The mostly Portland line-up includes: Baerlic, Burnside, Cascade, Coalition (featuring hemp extracted CBD), The Commons, Culmination, Deschutes-PDX, Ecliptic, Great Notion, Hopworks, Little Beast, Occidental (Germanic brewery’s first solo foray into German-style sour beer), Rogue, Stormbreaker, Widmer Bros., and Zoiglhaus (where braumeister Alan Taylor brews the original recipe from Goslar and has trained in Leipzig). Host brewery LABrewatory will have a collaboration with Cerveza Loba in Portland Sister City Guadalajara. Some of the breweries from beyond the City of Roses include four from California—Anderson Valley, Bruery Terreux (getting into the spirit with a gose featuring rose petals, rose hips, and rose water), Modern Times, and Sierra Nevada—plus the GABF gold medal winning gose from Reuben's in Seattle, Oedipus (from Amsterdam), and naturally, Ritterguts the traditional classic imported from Leipzig. CITY of GOSES is all-ages event. A portion of the proceeds will benefit Caldera, the Portland arts organization that serves as a catalyst for the transformation of underserved youth through art and environmental programs. Visit LABrewatory online at Labrewatory.com or, y’know, in person at 670 N. Russell St.
Oregon Fruit Products LLC announced that it will release Pink Guava Puree as part of its limited series for the fermentation market. Consumers are probably most familiar with the company's canned and pourable fruit. The company is also a leader in aseptically packaged fruit for the fermentation industry. I visited Oregon Fruit Products a few years ago during the blueberry harvest and toured the canning facility. Check out my short video in the link. I recently experimented with Oregon Fruit's cranberry puree in my homemade Cranberry Komboucha with Cardamom and Clove. It exceeded my expectations! Although consumers can't directly purchase Pink Guava Puree, I'm willing to wager that we'll see an increase the the amount of Pink Guava beers that are realized by breweries in the coming months. I'd love to try this fruit in both an IPA and a wheat beer! We'll see what happens. For more information, please see Oregon Fruit's news release below. SALEM, Ore. – Oregon Fruit Products LLC today released its next flavor in its limited series for the fermentation market: pink guava puree, adding to the company’s extensive portfolio of premium specialty fruit the products are designed for the craft beverage industry. Like all of Oregon Fruit for Fermentation products, the fruit is carefully selected for maximum ripeness and flavor and pureed into a velvet-smooth consistency so that it is ready for incorporating into a variety fermented beverages, including beer, cider, mead, spirits, wine, and kombucha. The puree contains 100 percent pink guava juice and pulp, with no added sugar, preservatives or additives. The taste is reminiscent of similarly sweet and medium-acid fruits such as papaya, melon, and pear, with a very aromatic, rich bouquet. All of Oregon Specialty Fruit purees are aseptically packaged to ensure shelf-stable, clean fruit brewers can count on. The product is minimally processed to ensure the best fresh fruit flavor and color. Most of the purees have a shelf life of 18 months in ambient temperature. 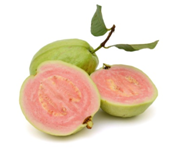 Oregon Fruit’s pink guava puree is now available in 42 lb. bag-in-box. The product is certified kosher, made in the U.S.A., non-GMO, gluten-free and vegetarian. Oregon Fruit Products does not use, nor does it allow, any of the eight major allergens (milk, eggs, peanuts, tree nuts, fish, shellfish, soy and wheat) in the products or processing areas. Today, Zupan's Markets announced the 5th beer in its Farm-to-Market series. 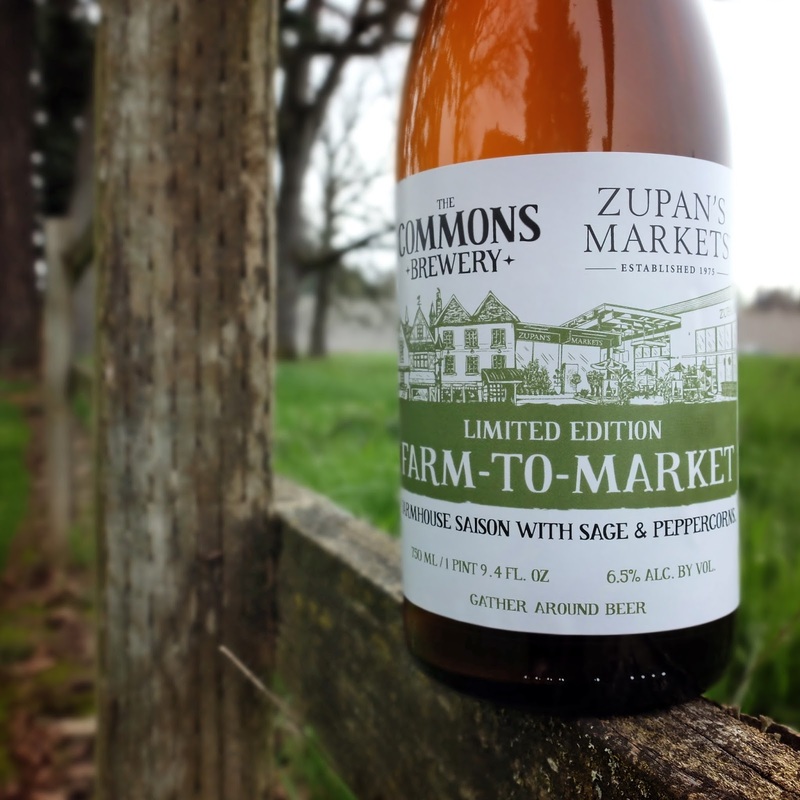 For this release, Zupan's partnered with The Commons Brewery to bring us a Farmhouse Saison with Sage & Peppercorns. If you live in Portland and like Belgian-inspired ales, you're probably familiar with The Commons. I've long been a big fan of the brewery and expect this release will be excellent! This beer will be available beginning tomorrow (April 7) at all Zupan's Market locations. Only 45 cases were produced, so it won't last long. For more details, check out the news release below.